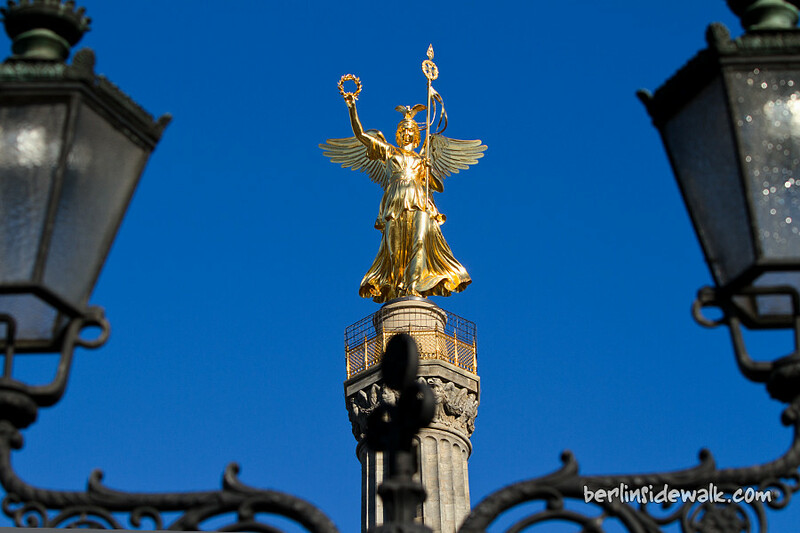 Last year, I mentioned that Berlin’s Siegessäule (Victory Column) is under construction. 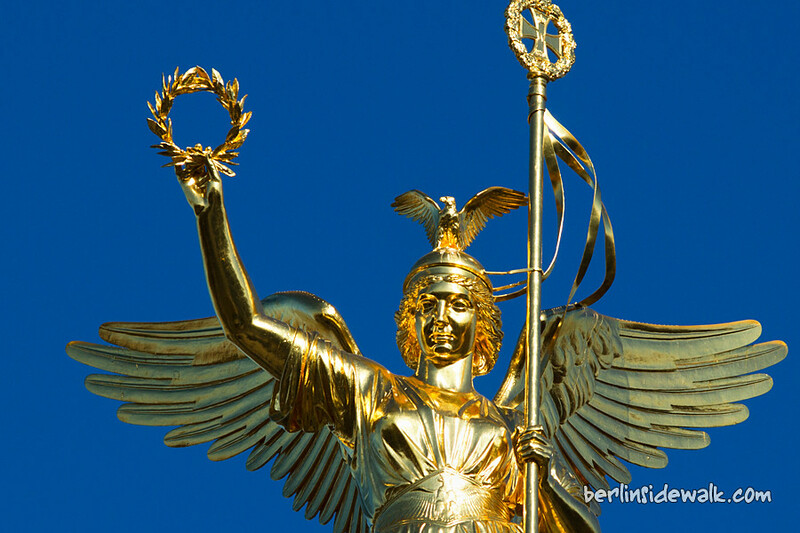 Now, the scaffold was removed and the golden Statue of Victoria again shines in all her glory in the middle of the Great Star. 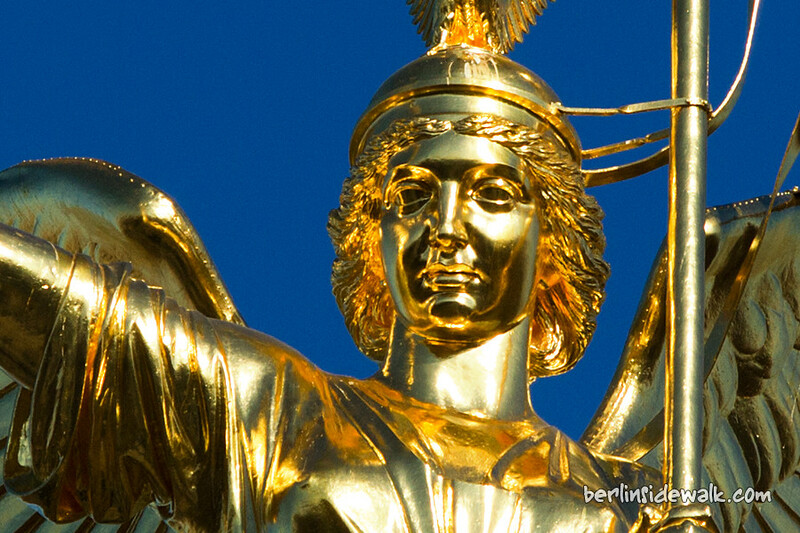 During the refurbishment works, about 1200 gram of gold leaf were put on the bronze sculpture of Victoria, which is 8.3 meters high and weighs about 35 tons. If you want to pay her a visit, you have to climb 285 steps upstairs to reach the observation platform on top of the monument. 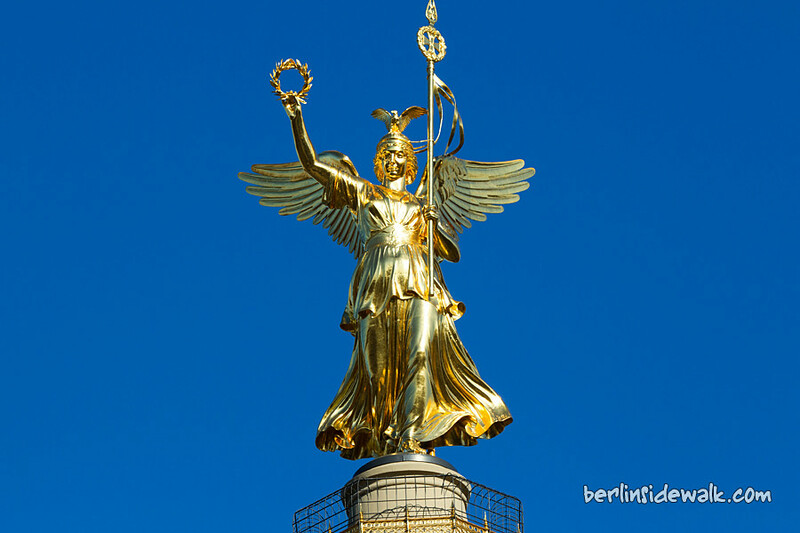 There is no elevator but your effort will be rewarded with a great view on Berlin Tiergarten.